An Entourage of Women also went with them on the Road and Provided for their needs, out of their own Substance. Women who Waited upon them with their substance . Jesus Day starts early, Up and Praying at 4:30 am. Everyone is invited to be there. Who is there? Mary, maybe John? No Hotel accommodations were made ahead of time since. Multitudes followed them, so that they had no leisure as much as to eat. NO TIME OF THERE OWN. No time for social events or even church events to go to. Certainly no concerts, not even a worship service. NO CELL PHONES to PLAY with or Texting their friends, or Face Book. Jhn 6:26 Jesus answered them and said, Verily, verily, I say unto you, Ye seek me, not because ye saw the miracles, but because ye did eat of the loaves, and were filled. Jesus said,he was being Followed because he Provided a FREE LUNCH to his Followers. ( for about 5,000 people, ) Do you know any Ministry that is doing that TODAY that would not take up a Collection for it? JESUS provided Lunch for his followers, but the Women Provided his Lunch. Anything Could happen when following JESUS. People with demons could approach him, and he would have to Deliver them, or sick people begging for help etc. or even a raising up of someone from the Dead. Never a dull moment. He had a Treasure who was a Thief. What do you think he was trying to say in regards to Money on this Insult? This was an Insult. its just that No One wants to talk about this issue today. They want to keep begging you for Money. Never Mind that JESUS only took money so as not to offend anyone/ It was a custom to give offerings to Teachers, and know one got a Tax deduction for it either? Paul Refused to even take money. Everyone today Begs you to PAY for everything. There is nothing Supernatural going on in a Ministry that has to Beg others to do what JESUS did for FREE. Some will not even Pray for you, unless you are their Partner, and send them Money. Did JESUS take up an Offering after Praying for the Sick? So how can anyone in Ministry today say they are FOLLOWING JESUS? Hi Dear Prayer Partners / Hope the New Year is starting off with New hopes and dreams for 2016. Thank you for your Prayer support for this Ministry. Pray for God’s Direction in this coming Year. We still need to move, and we want to be in God’s will and Timing. So Pray for an OPEN DOOR that has been Prepared for us. We are starting to Publish the Mysteries. Pray for the right Publisher, and all this entails. Keep Pastor Caleb and his congregation in prayer for direction in establishing them. Thank you for all your Prayers for the Traffic to our Site. The Prophetic Phone Prayer Ministry is still growing. We are able to make a real impact on many who call in for Urgent prayer Please Hold up the needs of those on the Prayer Page daily. We get many urgent requests from around the world and we Post them daily, so if you have no Ministry of your own, we are all Called to Pray. Pray for those needs. They are all counting on your Support. Many Prayer Praise Reports on people getting Jobs that where needed. Many are being Healed / Biggest Response over January was Healing/ Jesus is the Healer. Several years ago the Lord Gave me a Word for our Nation, and a Vision of JESUS Face in the Statue of Liberty. Since then many things have evolved and God has been busy raising up Godly Mature, Men and Women, with the same Spirit as our fore fathers. We are now at a Crossroads, fighting to get our Nation back from ungodly leaders who have betrayed We the People. Discerning the Spirit of these want to be Leaders has now become a very Hard Task. Only the Lord can put down one and set up another, according to his Will, and his Plan and purpose for this Nation. Lately the Race for the next Presidential Candidate has turned our Nation into a CARTOON, everyone looks like a silly animated image of something that NO LONGER has any Value. It is all Entertainment. The Media has become a tool of the devil, and all those seeking to use it, have lost all Credibility. It's Time to TURN OFF the news and LISTEN to the HOLY SPIRIT. Stop trying to figure things out, and just allow the Lord to take over this issue, and unfold his Plan in his Timing. MAN is not in charge here. Any Man or Woman who thinks they are in charge will be Taken out. Many are being Taken out at this present moment, as the Holy Spirit is Revealing all that is Hidden. 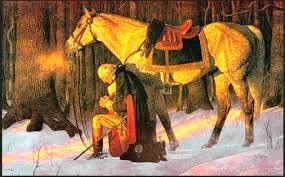 THE SPIRIT of our FORE FATHERS will PREVAIL and our GOD will Bring in the Leadership he has had Planned for us. SUDDENLY. As we the people do what we were told to do and PRAY FOR OUR LEADERS.